The candles from La Purísima are made using the traditional technique of immersion, where a craftsman dip a cord, which will be the wick, into natural wax. La Purísima is a candle making workshop located in Mexico City's Downtown since 1907. There they sell artisanal, decorated and aromatic candles, but their main products are religious purpose candles. This place is quite enigmatic because of its antiquity, the religious images all around, the turquoise walls, the neon signs and the way the products are exhibited hung from all the walls and the ceiling, making it truly particular and interesting. Dr. José is the person in charge of the store and the one who explained us the process of production of the candles and the possibilities of the material. All these facts caught our attention and were the reason why Diario decided to develop a new product here. The candles from La Purísima are made using the traditional technique of immersion, where a craftsman dip a cord, which will be the wick, into natural wax. The craftsman must do this several times until the desired diameter is reached. Afterwards, he’ll plunge the candle into colored wax many times until the color looks even. We wanted to highlight the process followed to make the candles and to give a proposal of a new way to use the wonderful colors they have. 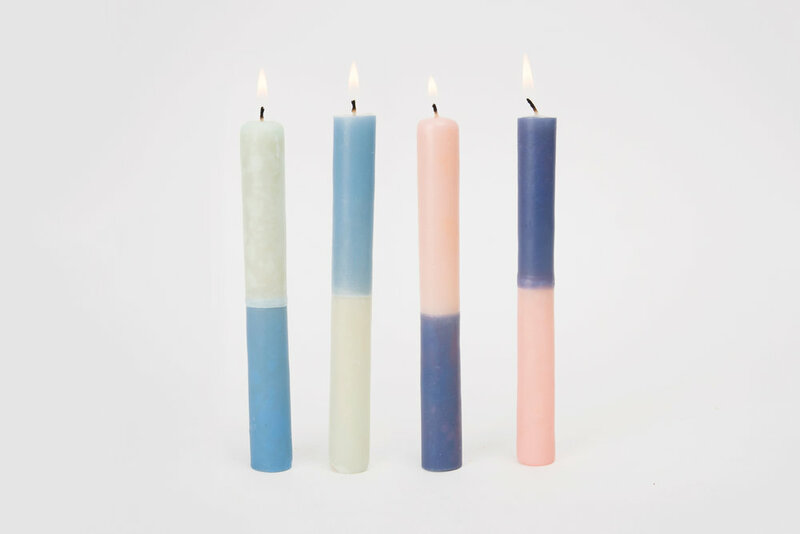 Diario picked eight colors and then paired them to have four half and half colored candles. 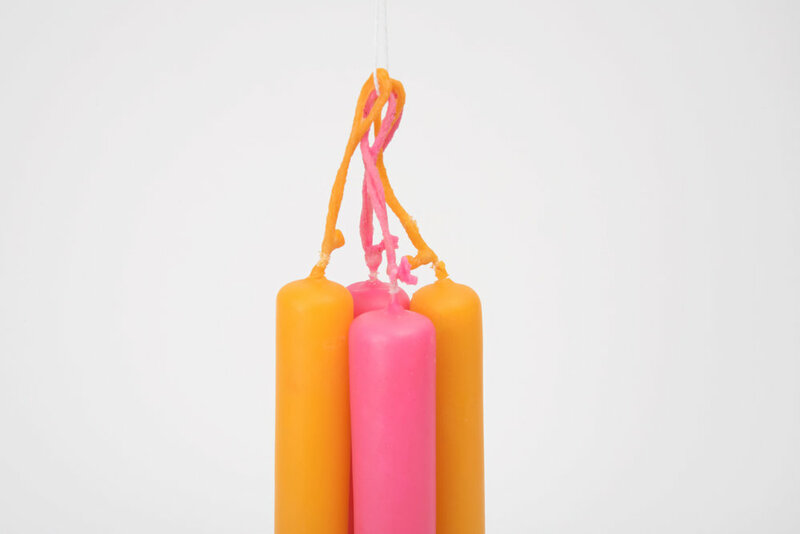 Each candle has two wicks so you can light it from one side or the other. 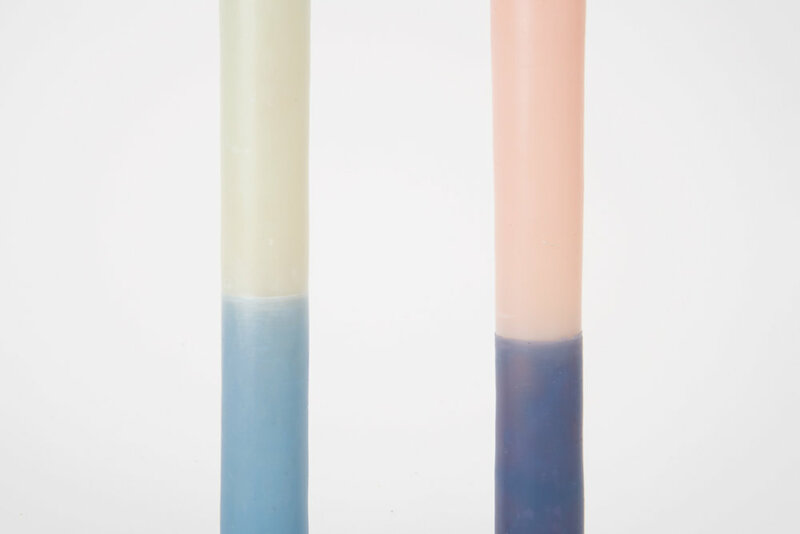 As the wax melts, it drips over the other color combining them. 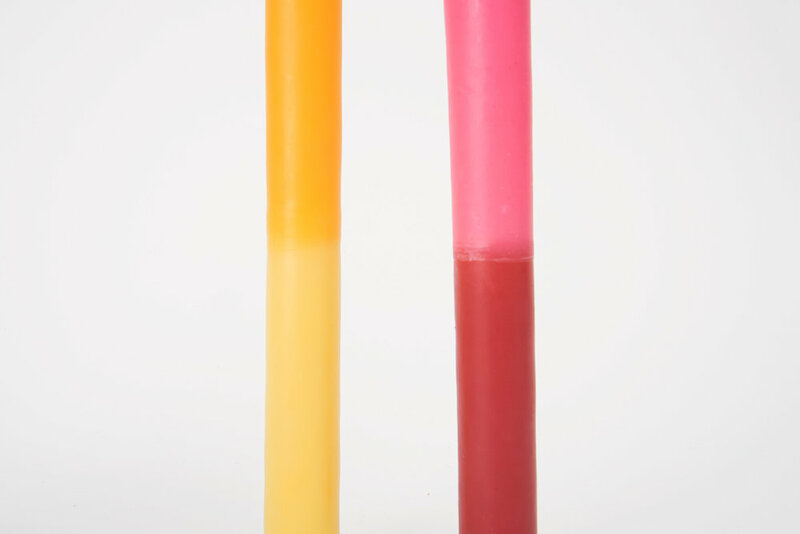 The result was two sets of four dipped candles, made with natural and colored wax.